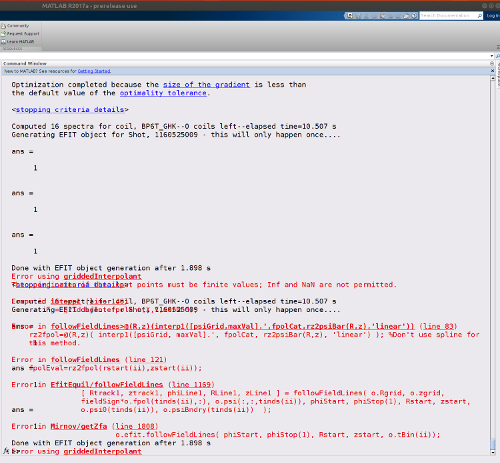 I have a student version of MATLAB 2013a on OSX El Captain. Sometimes when I'm scrolling in command window or editor window, the text isn't displayed correctly, it's like a problem with refreshing the page. Any idea what's the problem? I end up scrolling up and down until it's all okay. I don't really know how to describe it. I think I have the same problem you described. Some lines are duplicated when scrolling with two fingers on the touchpad. The up and down buttons works fine, but it would be nice to fix the scrolling issue, which was not there before I upgraded to El Capitan. i found that ubuntu users had a similar issue in the past. the trick is to add a java.opts file in the beginning directory. 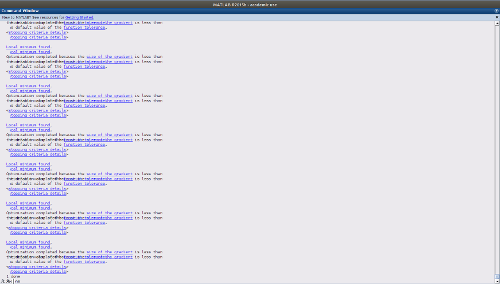 i tried the following command -Dapple.java2d.pmoffscreen=false ,but it didn't work. Does someone know what would be the right command to use? I have the same problem with Matlab R2018a in Ubuntu 18.04. Don't know how to solve it. I have also experienced this problem - the picture below is from a Matlab 2017a instance on an Ubuntu 16.04 installation. I've seen it on Matlab2016, also on Ubuntu 16.04. 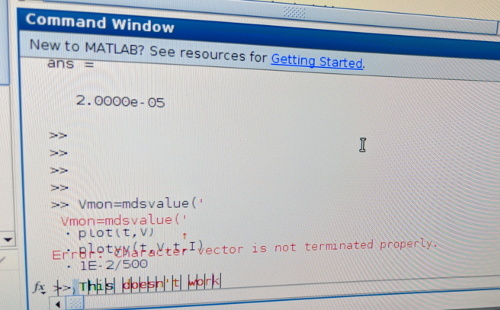 Matlab 2015b doesn't seem to have the problem. That question has a little more documentation of the problem (with pictures). Here is the same phenomenon in Matlab 2015b running on Ubuntu 18.04 with 3.0 Mesa 18.05 OpenGL. And here, on Matlab 2017a running on Ubuntu 18 with software OpenGL. It seems to be a Java issue. A temporary fix is the clearscreen command; a more permanent fix is pointing a MATLAB_JAVA environment variable to your system's jre. Details below. works to figure out (a) whether you have this issue (i.e. it reproduces the problem), and (b) whether you've fixed it.